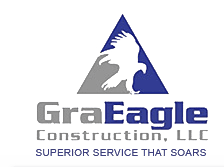 Faqs - GraEagle Construction, LLC. Q: How do I schedule an estimate? A: Click on the Free Estimate section, and fill out as much information as possible. If you're in the Las Vegas area, someone will get back with you to schedule or you can call our office at 702-248-0170. A: We offer Free Estimates with the exception of comparable bids for budget values- these estimates costs will vary depending on the size of the project. Q: How long will my estimate take? A: Depending on the size of the repairs or remodel/addition, the estimator will spend 30 minutes to 2 hours at your property. They will then write up an estimate, which is usually one or two days later. A: Check the Employment section for our updated hiring list. Q: I am not sure if I still owe money. How do I find out? A: Our general warranty lasts 1 year (except for the Direct Repair Warranty Programs which vary between 2 years to 5 years) from the date you signed the completion certificate. Q: What is a subcontractor? A: Here at GraEagle, we try to do as much work as possible in house but some work requires more than we are capable of doing. We have a list of contractors that we use and trust to do additional work like plumbing, electrical, mechanical, etc. Q: I received an invoice but my insurance company is paying for the repairs. What do I do? A: There should be a stamp at the bottom stating that we have billed your insurance company. Sometimes the insurance companies will send the homeowner the check that has their name on it and our name. In that case, the homeowner is responsible for paying the invoice. If you have not received a check from your insurance company, then they have paid or will pay us directly. If the invoice does not have a stamp on the bottom call our office and speak to Accounting. A: Our office is open Monday-Friday 7:30am to 4:30pm. If there is an emergency after hours, call our number and the answering service will page one of our staff members. Q: I have damages to my house but I am not going through my insurance company. Would you still do the repairs?